Lotus recently unveiled its series of models like, Evora, 3-Eleven, Sport and Sport 220. Among all these it recently added the powerful Lotus Exige Sport 350 2016 to replace the V6 Cup Exige. The statement in itself claims lots of power and better performance figure with a driver centric interior calculation. Let us have a look at the review of Lotus Exige Sport 350 2016 to know in details about it. The interior of Lotus Exige Sport 350 2016 carries the trend of 360 Cup model. It offers the same larger buttons and a engine start button with new trim packages that will take your car closer to the heritage company has been carrying since long. The seats feature crossing vertical and horizontal yellow lines with an option to have red. The dashboard looks cleaner with the well arranged module while the sound insulation, air-conditioning and in-car entertainment system comes as an option. 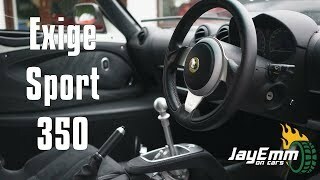 There is one thing that especially makes the interior of Lotus Exige Sport 350 2016 look unique and that’s the new gearshift mechanism which now has cast aluminum components, machines and is light in weight. Even the look is pretty different in comparison to the predecessors. Thus the look not only decreases the weight but also adds to the looks of interiors. Just like the interior, exterior of Lotus Exige Sport 350 2016 carries clues from its 360 Cup sibling. The exterior has everything that the standard car had with goodies borrowed from the Exige-based track cars. To add aerodynamic upgrades, company has amalgamated a front splitter while the rear end has a wing and a diffuser. You can also notice sporty side skirts integrated into the model that not only add to looks but also adds to performance. The front section has a grille section towards the nose while the engine lid features identical louvers, removing the horizontal slats giving the model a cleaner appearance. Rolling the models down the lane are twin-five-spoke rollers featuring sportive design. 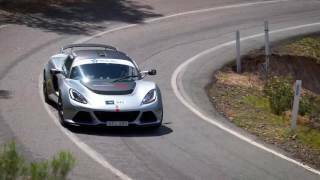 Thus rounding up the exterior details of Lotus Exige Sport 350 2016 all I would say is, it gets more sportive, both in terms of looks and features. Beneath the hood of Lotus Exige Sport 350 2016 is a 3.5 liter all alloy DOHC V6 VVT-I engine generating total output of 345 hp and peak torque of 400 nm mating to six-speed manual/automatic transmission. 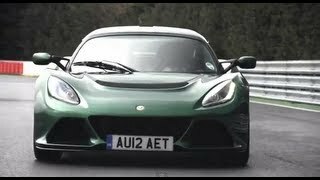 With this power rolling the newly designed model, the top speed of Lotus Exige Sport 350 2016 touches the mark of 170 mph with manual transmission while with the automatic gearbox it can knock 162 mph. The sprint time of 0-60 mph is 3.7 seconds for both the transmission levels.